1. Cook the pumpkin. Keep aside. 2. 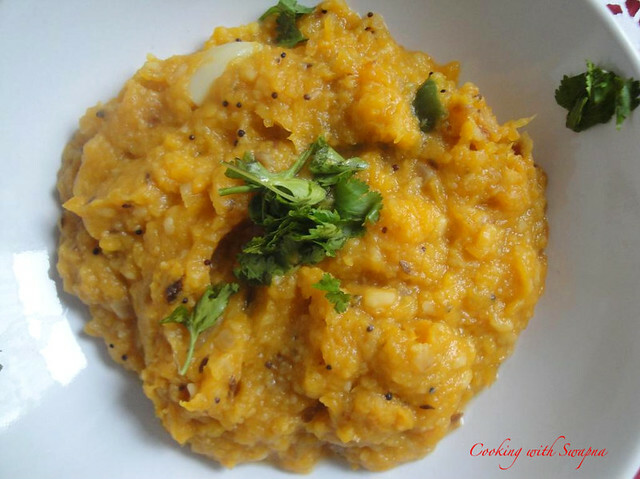 Cook the moong dal and keep aside. 3. Heat oil in the pan, add mustard seeds, urad dal, green chillies, curry leaves, garlic & finely chopped onions. Saute till tender. 4. 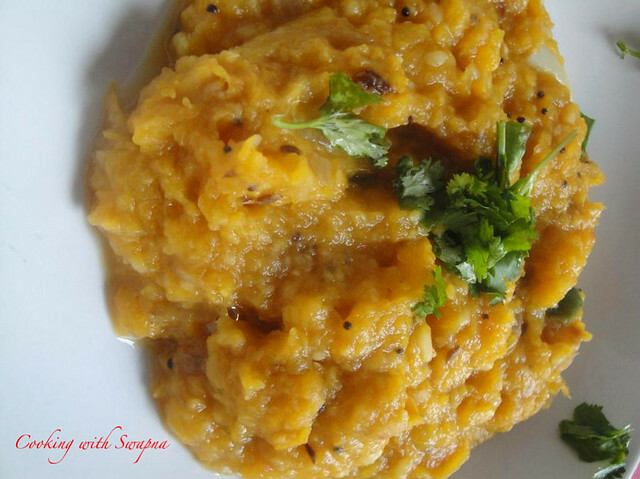 Add cooked pumpkin & moong dal. Add grated coconut & salt to taste. Cook over low flame till done. 5. Garnish with corriander leaves. 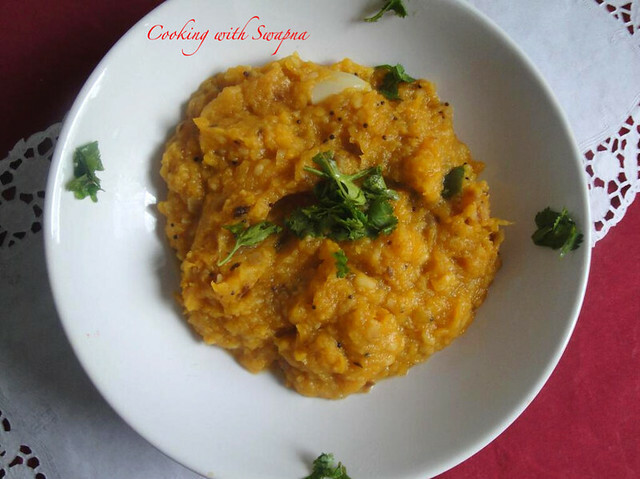 Serve with rice & rotis. wow that looks really yummy. Never tried this way before.